It’s the start of the year once again, and that means making your wardrobe fresh again. There’s something empowering about serving new looks, especially for work. It boosts your confidence levels and generally makes you feel and look more put together. Unfortunately, starting from scratch is not an option for most people because clothes cost a lot of money and getting a new wardrobe will cost you a small fortune. 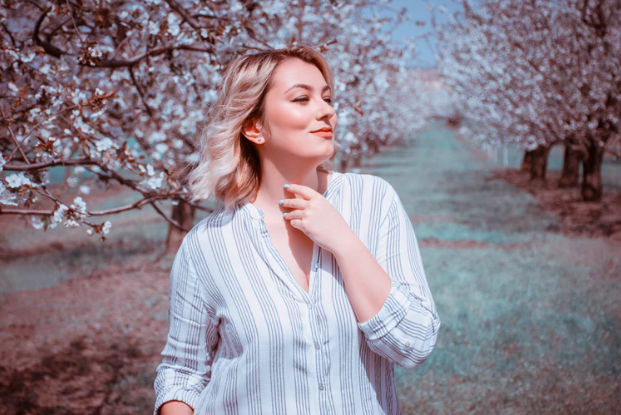 You can always buy pieces here and there for the rest of the year, but if you don’t have something new but want to change up your look, you’ll need to look deeper in your closet. Now would be a good time to do quarterly cleaning because you’ll be able to see how many clothes you’re no longer using. Carefully select the ones you still wear and sort the rest into donations or for selling. Local shelters will gladly take your old clothes, and if you want to earn a few dollars on the side, e-commerce websites like Shopify can help you sell clothes online without knowing anything about programming or web design. As for new work outfits, you can use the clothes you use for parties and fun nights out as supplements. You may be a stickler for safe combinations like trousers, button-up shirts, and blazers, but it’s time for you to get out for your style comfort zone. Start the year right with stylish outfits you never thought you could pull off. Here are some outfit ideas you should try. If you think a sundress is only for warm weather seasons like spring and summer, guess again. You can update it according to your needs by adding pants and a few accessories. For fall, you’ll definitely need something to cover up your legs for warmth but not enough that you’ll be busting out the thermal wear. Go for leggings and denims if they suit the sundress you have. Since it is a work outfit, dress it up with some heeled shoes. Add a fun purse to match the outfit. The right pair of tall boots will make any outfit look sophisticated, so it’s perfect for work. If you want to make a statement while looking professional, pair it with a long dress. Depending on the weather, the two can stand on their own, or you can add outerwear if it’s too cold. Finish the outfit with a mini bag or, if you’re used to carrying a lot of work-related stuff, a leather tote bag. Contrary to popular belief, knit sweaters can actually be used for work, as long as you know how to style it with other pieces. In this instance, a way you can make the piece stylish for work is to put on solid-colored wide pants. This chic aesthetic is comfortable and warm, especially for chilly days. Put on some pointy heels and grab a trusty coat, and you’re ready to go. Dark-colored shoes in brown and black are work outfit classics, and you can never go wrong with them, but they can be dull sometimes. 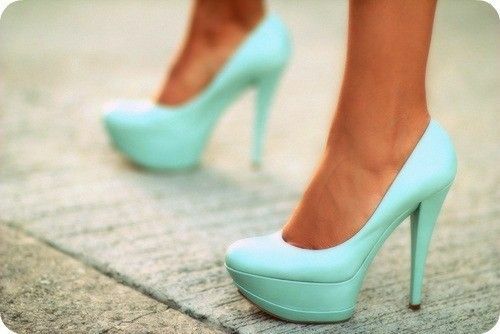 If you need a pop of color in your outfit, put on a pair of bright-colored heels. It’s best to pair it with an ensemble that is monochromatic or in neutral so it won’t clash so much. A crisp blazer is regarded as a must-have especially for fall and early winter. It can make the plainest outfits look presentable and chic. Make use of the stiff lines of the blazer, and dress it up for work. You can make the outfit casual but appropriate enough for work using knee-ripped jeans, heels, and a solid tote bag. If the weather allows it, you can even wear a turtleneck sweater for the inner part. Even if you put away the blazer indoors, you can still have some warmth. Women’s dress pants are a staple in work environments. You probably own a handful in various colors and even ones with patterns because you want to change it up when you first bought them. If you’re a fashion novice, it can be a little intimidating to style patterned dress pants, and it’s probably why you don’t use them as much. It’s actually easier than you think. Depending on the pattern and color of the dress pants, make sure to put on a solid-colored top in the same or similar color. Put on some fun accessories, and for good contrast, carry a solid-colored bag in a different color. Fashion is about exploration and innovation, so don’t be afraid to change it up when it comes to colors and patterns. Make use of colorful button-up shirts for work by pairing them with other odd-colored articles of clothing to make a statement outfit. Don’t be afraid to go bold either or mix colors here and there. Make it professional-looking with classic heels, some accessories, and a good leather purse. If you’re not ready to step out of your comfort zone with regard to mixing and matching clothes you already own, make an outfit look and feel like new by putting on accessories. When they’re used right and in tasteful amounts, they can really make an ensemble look next level. The great thing about using accessories is that you don’t deviate so much from outfits you already know you look good in. It’s just a matter of finding the right ones for the current outfit. What are your favorite ways to make outfits look new? Share your ideas below.